BookMoot: Jason Bourne meets "Arthur"
The theme for this season on Arthur is "media literacy." Jason Bour...er...Matt Damon will be making an appearance. Um, wow?! I love Arthur, and got used to seeing Yo Yo Ma, and Jack Prelutsky with the little ears, but... Jason... er, Damon? 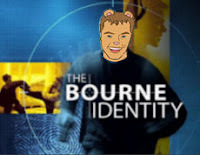 I just watched The Bourne Identity the other night. This will probably be a fun action packed adventure that my kids will love.